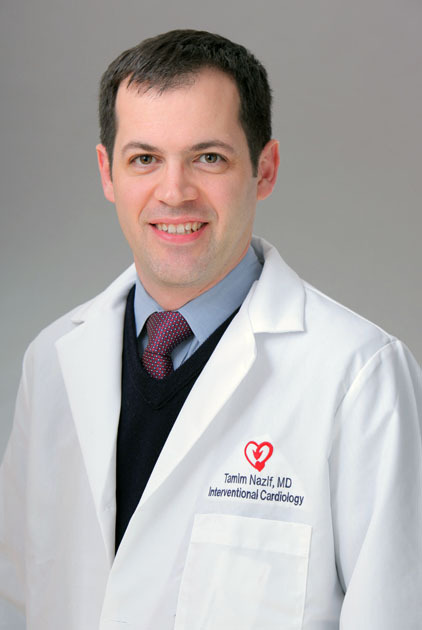 Tamim Nazif, MD is the Director of Clinical Services for the Structural Heart & Valve Center, Director of Clinical Research for the Center for Interventional Vascular Therapy and an assistant professor in medicine at CUMC. Dr. Nazif specializes in interventional cardiology and the treatment of heart valve disease. Dr. Nazif attended Columbia University College of Physicians and Surgeons, did his residency at University of California, San Francisco Department of Medicine, San Francisco, CA, and his fellowship in interventional cardiology and Structural Heart Disease at Columbia University Medical Center. Zinc solubility and fractionation in cultivated calcareous soils irrigated with wastewater.